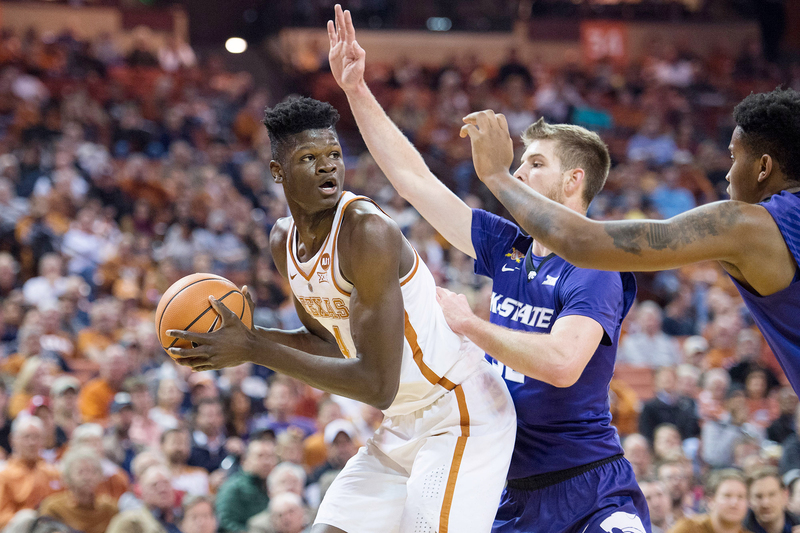 Mohamed Bamba and the Texas men's basketball team will play at Kansas State Wednesday after the freshman forward scored 10 points and pulled down a game-high 18 rebounds in a 77-66 road win over No. 23 Oklahoma (photo courtesy of texassports.com). NORMAN, Okla. — Junior forward Dylan Osetkowski scored a team-high 21 points and freshman forward Mohamed Bamba pulled down a game-high 18 rebounds to lead the Texas men’s basketball team to a 77-66 road victory Saturday over No. 23 Oklahoma at the Lloyd Noble center in Norman, Okla. The victory gives UT, which improved to 16-11 overall and 6-8 against Big 12 opponents, its first season sweep of the Sooners since 2011-12. It marked the fourth time this season the Longhorns have knocked off a team ranked in the Associated Press top 25, and gave the team its first true road victory over a team in the AP top 25 since UT edged then-No. 15 Baylor, 67-59, Feb. 1, 2016. Texas last beat the Sooners in Norman in 2012. With the loss, OU’s record fell to 16-10 overall, and 6-8 in Big 12 games.